Over the weekend, my sisters and I cleaned out my mom’s apartment and prepared to move her to a skilled nursing wing. Even though we did massive amounts of purging when she moved out of her house, we still found ourselves with a van-full of donations for the local Goodwill. And what comprised the majority of items? You guessed it: clothes. I have become conscious — and thus astonished — by the amount of clothes that people discard every day. The career clothes closet where I volunteer literally is overflowing with donations. The local Goodwill even appears to be reaching its limit as it has a warehouse full of castaways. The mantra of environmental consciousness is “reduce, re-use, recycle.” We should apply that lesson to clothes purchases. 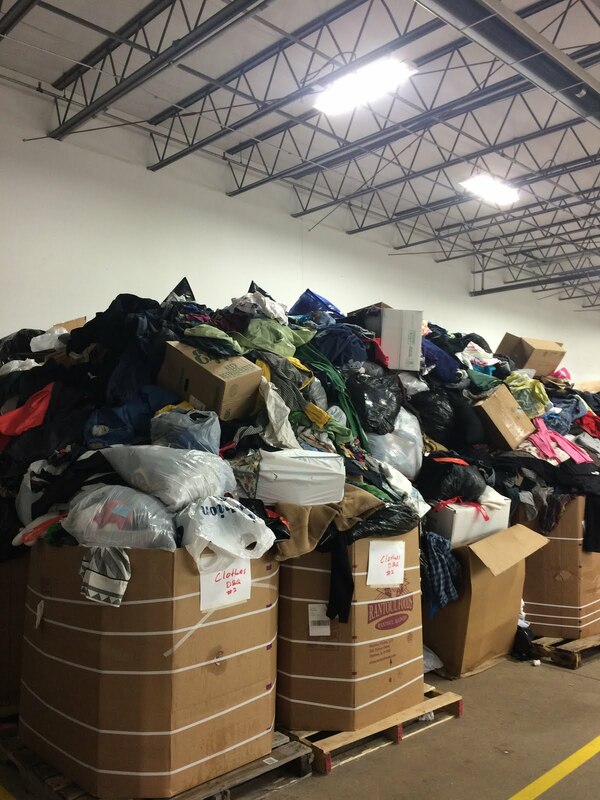 It may not seem like a bad thing to clean out the wardrobe when you are giving the clothes away instead of adding them to the trash, but there are just far too many donated clothes than what people are using. I’d suggest that you think twice before you buy new items. Consider buying at Goodwill (etc.) instead of just dropping things off there. Share with friends who have similar aged children. Add a new accessory and make those clothes last one more season. It may be fun to be fashion forward, but you’ll be even more stunning if you are environmentally forward instead. Every other holiday has exploded with commercialism, so I shouldn’t be surprised that it has carried over to Memorial Day/Fourth of July. Red, white and blue merchandise has become omnipresent, from towels at Kohls to hangars at Walmart, it seems that products in those three colors are e.v.e.r.y.w.h.e.r.e. 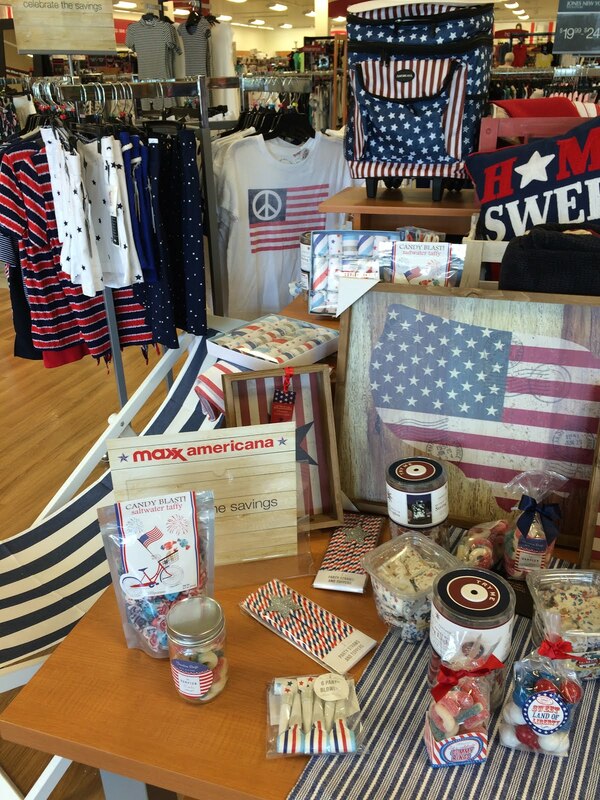 The patriotic theme carries through to decorations, packaging on every type of food product, clothing, jewelry and home accessories. If it was a response to or way to demonstrate increased patriotism, I’d be all for it, but we all know it is a merchandising ploy to extract green from wallets into cash registers. Nonetheless, I hope that for those who buy some items off the prominent displays that some of the patriotic feel rubs off on them. Take a moment today to recognize those who made the sparkle possible. Memorial Day is the first of many summer holidays that could have us waving Old Glory (Flag Day, Independence Day), and I hope you wave your flag proudly for this great country of ours. 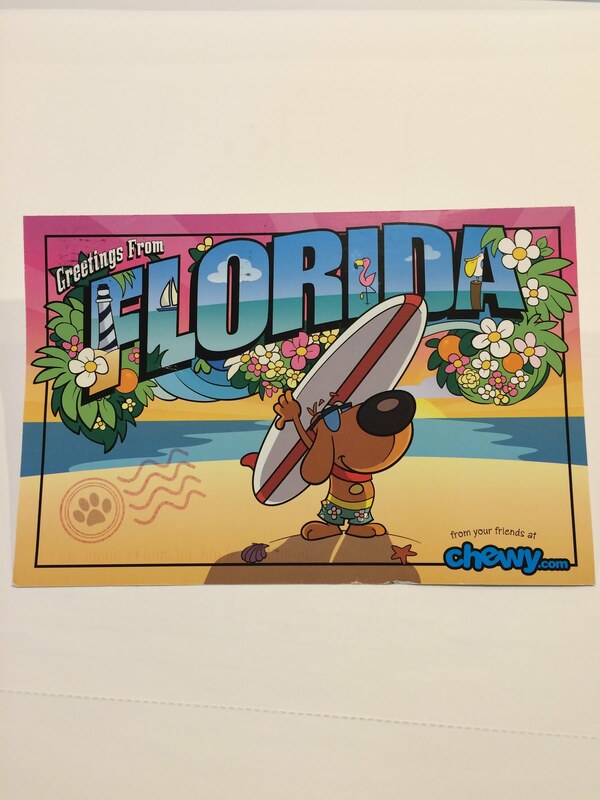 A few weeks ago, I received a postcard in the mail offering me a $15 discount on dog food. It was substantial enough that I decided to give chewy.com a try, and one order was all it took to turn me into a fan. I am not sure how they do it, but the same bags of dog food that I used to buy in the store are now delivered right to my door for less. No more lugging 30# into the cart, onto the counter, into the car and then into the garage. Now it just shows up at my house, every six weeks, without any further intervention on my part. We want to hear it all- tell us the good, the bad and the furry! And don’t forget to upload a picture of your pet pal. We’ll crowd around a computer, say a collective “Awwww!” and try to pet the screen. Thank you for sharing! After my second order, I received a hand written postcard. Their boxes encourage me to take a picture of my pet sniffing the box (which they do!) and send it in to them. It is like the Zappos for pets. Not every company would be authentic when utilizing such a fun style, but for some it works. Think about what tone is right for you and then own it. If your culture is light-hearted but your correspondence is formal, you could take a lesson from Chewy and let your promotion wag a little bit more. I admire those who can see something new in what most people overlook because it is so obvious. This happened with a coalition of environmentalists who saw potential in the unused median strip of Interstate 35. The road spans 1,500 miles from Minnesota to Texas, and, until now, was mostly barren grass designed to protect drivers from a head-on collision with someone heading in the opposite direction. But thanks to an agreement signed this week, the six states will deploy new seeding and different management practices in the median of the highway to provide a fertile mating area for honeybees and butterflies. The Interstate will be branded as the Monarch Highway to acknowledge the plan to boost the population of these valuable insects. The states expect to actually spend less money under the new system since the plantings will require less mowing and reduce erosion. It’s a win-win for everyone. What is in your world that is an underutilized resource? Instead of repurposing content (as I wrote about earlier this week), is there something else that could take on a new life and serve double duty in a helpful way? Can you imagine a better use of something that has more potential than is being realized now? Turning the median strip into an intentional breeding ground is but one example of how things can be seen through new eyes. Take a look around your organization, home or community and see what ideas buzz around your head for how to utilize something differently. There was an article in the paper recently that said Millennials are living with their parents longer than ever before, and for the first time on record more 18-34 year olds are living with their parents than on their own. This has implications for many aspects of society: the housing market is sluggish because Millennials aren’t buying and there are no empty nesters to downsize and sell; it has lessened the demand for apartments, and fewer people are working in jobs because they don’t have the pressing need to pay rent. Millennials are also delaying marriage, which in turn delays raising a family, and we will see repercussions from that for a long time to come. The author speculates that many are living with their parents post-college due to heavy debt loads from their time in higher education. Another theory is that low wages in jobs prohibits workers from being able to afford high apartment costs or living on their own. I think another possible answer is that Millennials have not developed sufficient life skills to claim their independence. As more and more schools embrace intrusive advising and success coaches, colleges get further away from being a laboratory for development of resilience, maturity and perseverance. Young people are not left on their own to fail, or to figure out the consequences when they do. They don’t have as many opportunities to develop what Angela Duckworth calls “grit”, a stamina and tenacity that comes from sticking with something that is hard work. Many Millennials have been nurtured and even coddled for their whole lives, and they leave college without the confidence that they can make it in the “real world” because they haven’t gained experiences that tested their mettle in the “pseudo real world” of a campus. It’s touching that Millennials have such a comfortable relationship with their parents and that families provide a safety net for so many. But just as baby birds are meant to leave the nest, I believe Millennials are meant to become engaged citizens and contributing consumers in their own right. Before they are 40. What role can you play in helping that to happen? Source: Goodbye, empty nest: Millennials staying longer with parents by Christopher S. Rugaber for the Associated Press in the Telegraph Herald, May 25, 2016, p.6B. Our Sam’s Club has an endcap display of about 20 books, usually new releases or best sellers that have the capacity to sell in volume. Last weekend I noticed that author Sandra Brown had a book featured. I am a fan of her suspense tales and was excited to see that she had a new book out. Only on closer examination, I discovered that it was just a new cover on a 1997 publication instead of a new story. Sandra Brown has taken to heart the social media mantra of creating 20% new content and repurposing 80% of what is out there. She did it with her books, but I suspect she applies it in other ways as well. I would do well to learn from her in this area as about 99% of my content is new and only a bit is Tweeted or used (by me) elsewhere in places such as Facebook or Pinterest. I did not grow up in the use-it-again generation and sharing the same thing in multiple places somehow feels like cheating. But if Sandra Brown can get a whole new life cycle out of a 20yr old book, maybe there is something to this repurposing idea. There is hardly anyone out there that doesn’t feel “too busy” at one point or another. Maybe we can all take a lesson from Sandra and reuse some of the great work we have done before. Perhaps the annual report can stay the same design with just numbers being updated. The meeting agenda can be made into a template. The history of an organization can be shared across platforms. Testimonials can be used in print and electronically. I could use blogs from three years ago again and see if anyone notices! As my media friend says: “Content is king!” Let your royalty parade around a bit longer to get the full effect of its majesty. As I was driving, a fire truck with sirens blaring became visible on the road behind me. Followed by the truck was an ambulance. Both were painted red. It got me wondering why police cars aren’t red too. I presume that the red (or occasionally yellow) on fire vehicles is to make them more visible on the road…as if you wouldn’t spot a 50′ ladder truck no matter what color it was painted. Perhaps red was to align with the color of fire, but it is just as likely to mean “emergency” as in the red cross. Police vehicles started off as “black and whites,” but have evolved into more white or black — or even silver, blue or combinations. There is no standard police vehicle color, even on the marked cars. 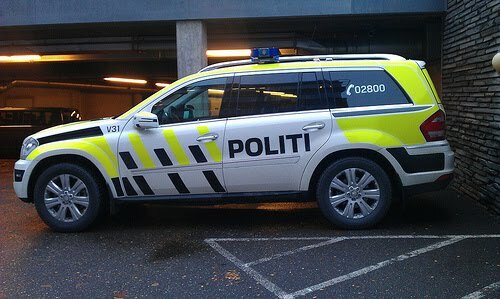 In Europe, police have placed greater prominence on visibility than design and many communities have painted their protection vehicles in neon colors including yellow, orange or green. Still no standardization, but at least rationale as to why they did it. Wouldn’t people benefit from a) greater visibility of vehicles that may be traversing the streets at high rates of speed and b) more uniformity in look so as to instantly know that this was an emergency vehicle? The undercover cars could remain stealth, while the marked cars could sport a highly reflective design. Think about how this relates to your organization. Are you doing things just because you have always done them? Are there instances where some standardization would be helpful? Can you see your choice of colors through new eyes? It may be beneficial to police your choices to make them with intentionality.